The Morehead Farmer’s Market was the vision of a consortium of regional farmers, local government, and a driving passion of the “Farm to Table” movement sweeping the world of healthy food options and “food justice”. The access to local economically grown and distributed fresh food has become a focused agenda for many communities nationwide. 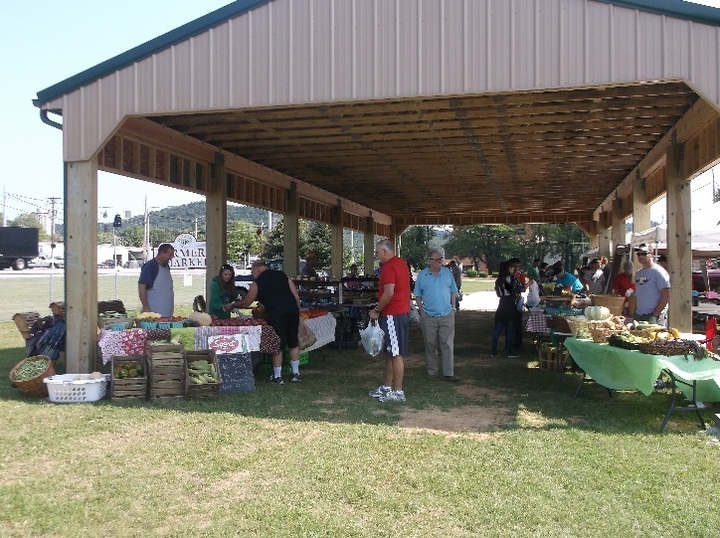 The new Morehead Farmer’s Market is more than just an outlet for local produce. It is a cultural shift in how we resource, distribute and establish buying habits for our food. Located centrally in Morehead, Kentucky, this new 2,200 square foot open air market was designed to be constructed of locally sourced materials and construction services to minimize the environmental impact. Its trusses were harvested from a waste overrun production from a local manufacturer. Its columns where designed to be hand laminated on site from renewable locally sourced wood. Using existing equipment in spare available service hours, the local electric company provided the footing excavations. Though it is no way intended to replace the commercial grocery and market businesses, today this market provides a seasonal rotation of local and regional food alternatives to the community that promotes a more regional reliance on local farm business. In turn the small business farm owner operators are offered a larger market share in the food supplies to the communities in which they live and makes expanding investments into local economy. Because the food is sourced, purchased and consumed locally, the community awareness of land stewardship, waste, water quality, and pollution become not just activist ideologies, but meaningful and responsible paradigm shifts in how we care for the communities we live in, one citizen at a time.